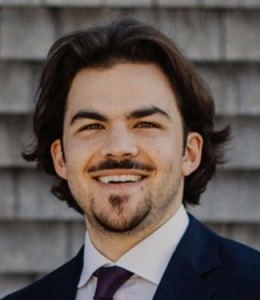 Adam received his BS with honors in chemistry from Trinity College (’12), where he worked in the lab of Dr. Tim Curran exploring the coordination of tungsten to diphenylacetylene ß-turn peptidomimetics. He then pursued a PhD in chemistry at Caltech (’17) under the mentorship of Dr. Jackie Barton. While at Caltech, Adam studied luminescent ruthenium complexes that function as “light switch” probes for DNA mismatches. Adam is currently studying approaches to therapeutically target cancers that harbor mutations in the Mismatch Repair pathway. Fun fact: Adam’s passions expand beyond the lab and include weightlifting, hot yoga, singing acappella, heading to the ballpark for a game, and visiting craft breweries. Graham received his BA with honors in biology from Williams College. As an undergraduate researcher, Graham studied the genetic link between dopamine signaling and arousal state in Drosophila. Graham was also the varsity captain of the Williams College men’s crew rowing team. In the Bandopadhayay Lab, Graham is characterizing the mechanism through which fusion proteins contribute to the formation of pediatric low-grade gliomas. Larisa received her B.Sc. degree in experimental biology from the University of Bucharest-Romania in 2011, where she investigated the importance of specific nucleotide polymorphisms in breast cancer patients. During her B.Sc studies, she did an Erasmus exchange semester at the University Paris Diderot. In 2013, she obtained her M.Sc degree in cancer biology, with a focus on oncolytic virotherapy of cancer, from the University of Heidelberg and the German Cancer Research Center (DKFZ). 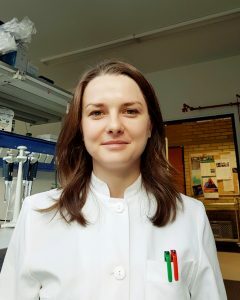 Larisa earned her PhD in 2018 from the Freiburg University in Germany, where she investigated the role of the Hippo/YAP-TAZ signaling pathway in neural crest development and neuroblastoma progression under the mentorship of Dr. Jan Pruszak. In the Bandopadhayay lab, Larisa is working on projects to improve treatments for children with gliomas. 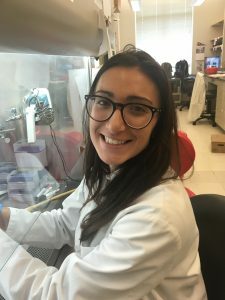 Her projects include studying the role of long noncoding RNAs (lncRNAs) in the pathogenesis of Diffuse Intrinsic Pontine Gliomas and the development of therapeutic strategies for fusion proteins in pediatric low-grade gliomas. Jeyna is an undergraduate at Harvard College, originally from Connecticut. At school she studies Integrative Biology and is involved various clubs on campus. One such club is Camp Kesem, an organization for children whose parents have cancer. She is also a trip leader for the Harvard Outing Club and a member of the club soccer team. In her free time, Jeyna loves to cook, bake, read, ski, and be outside as much as possible. In the Bandopadhayay Lab, Jeyna is working to identify novel therapeutic strategies for children with MYB and MYBL1 altered tumors. 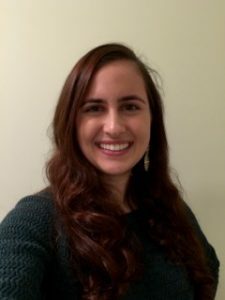 Jeyna loves working with the Bandopadhayay lab and can’t wait to see all that she will learn. Gabi is a Denver native, and recent Boston transplant. So far, she is enjoying kayaking on the Charles River and cheering on the Bruins hockey team. Gabi graduated from McGill University as a double major in Molecular Biology and English. In the Bandopadhayay Lab, Gabi is investigating molecular dependencies in medulloblastoma. She hopes this work could lead to a cancer treatment which can be made financially accessible to sick children around the world. Fun fact: Gabi has correctly spelled the word ‘fluorescent’ three times in her life. Eli majored in molecular and cell biology at the University of Pennsylvania and is originally from Miami, Florida. She aspires to be a physician scientist and join the efforts to discover better treatments for rare pediatric cancers. As a research assistant in the Bandopadhayay Lab, Eli is developing strategies to uncover genomic dependencies of pediatric brain tumors. She is also interested in science diplomacy, particularly collaborations on cancer research between the US and Cuba. Fun fact: Eli loves to snorkel, and her favorite animal is a Yellowtail Damselfish. Prasidda received his BA in biology and biochemistry from Carleton College in Northfield, Minnesota, before joining the BBS PhD program at Harvard University in 2016. In the Bandopadhayay Lab, Prasidda is currently studying the role of PPM1D mutations in the pathogenesis of Diffuse Intrinsic Pontine Glioma (DIPG), in addition to spearheading efforts to further characterize the genomic landscape of pediatric craniopharyngiomas. Prasidda is co-mentored by Drs. Bandopadhayay and Beroukhim. Zach was born in Glenmoore, Pennsylvania (outside Philadelphia). He studied biochemistry and molecular biology at Penn State (’06), and then pursued an MD/PhD at Duke University in Durham, North Carolina (’14). At Duke, Zach earned his PhD under the mentorship of Professor Hai Yan on research in the Tisch Brain Tumor Center revolving around gliomas and cancer-associated mutations in IDH1, TERT, PPM1D, ATRX, and several other very interesting genes. His research aimed at better classifying cancers to select appropriate treatments, and on identifying targets for new therapies for these brain tumors. Zach then spent a year in Baltimore at Union Memorial Hospital doing a preliminary year in internal medicine. 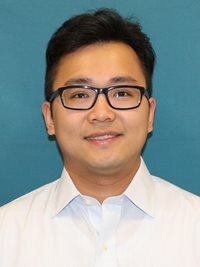 He is now specializing into radiation oncology as a resident in the Harvard Radiation Oncology Program (’19). Zach aims to pursue a career as a physician-scientist, and sees himself treating patients with radiation therapy in the clinic while looking for ways to better understand the enemy (cancer) and improve the standard of care in the lab. In the Bandopadhayay lab, Zach is studying pediatric low-grade gliomas at a single cell resolution, in addition to determining how PPM1D mutations may be therapeutic targeted in Diffuse Intrinsic Pontine Gliomas. Zach is co-mentored by Drs. Bandopadhayay and Beroukhim. Fun fact: When he is not pipetting or fielding pages, Zach enjoys cycling, hiking, microbrewed beer, and Penn State and Philadelphia Eagles football. He likes spending time with his wife, Denise, and their two cats, Wink and Arya. Kenny received his BA from Northwestern University in Integrated Science and in Biological Sciences. 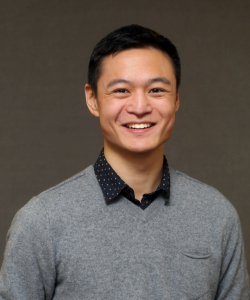 At Northwestern, he completed his honors thesis on genomic editing using CRISPR/Cas9 through gene knock outs, knock ins, and genome wide screens. In the Bandopadhayay Lab, Kenny is studying methods to target Glioblastomas that contain alterations in the Mismatch Repair Pathway. Fun fact: Kenny was bald until the age of 18. Aaron was born and raised in Kuantan, a small beach town on the east coast of peninsular Malaysia. He went to college in Malaysia before moving to Philadelphia. Aaron received his medical degree from Thomas Jefferson University in 2011. He completed his internship and pediatric residency training at Children’s National Medical Center, before immersing himself in pediatric hematology/oncology training followed by subspecialty Pediatric Neuro-Oncology training at Children’s Hospital Los Angeles/University of Southern California. 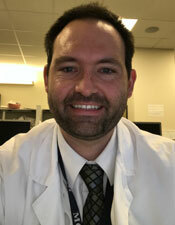 Aaron is an Attending Pediatric Neuro-Oncologist at the Dana-Farber/Boston Children’s Cancer and Blood Disorders Center. He is working with the Bandopadhayay Lab to characterize the clinical features of MYB and MYBL1 altered gliomas.